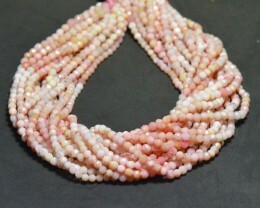 Hand faceted natural and untreated Pink Peru opal gemstone beads. We have many lines in stock so please contact us if you wish to purchase more. 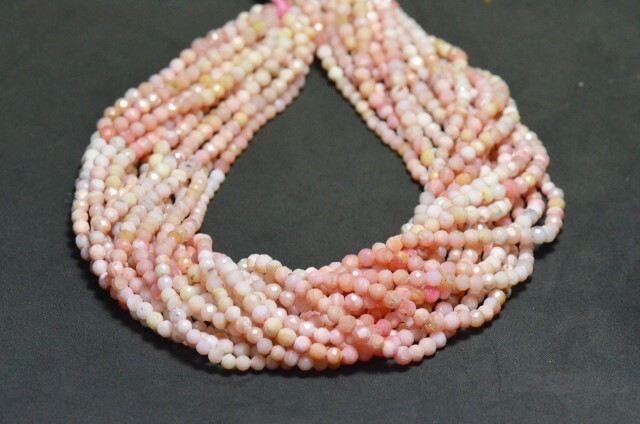 Healing properties: Peruvian Pink Opal is thought to aid in achieving the calm required to mediate, especially when in the midst of difficult love relationships. 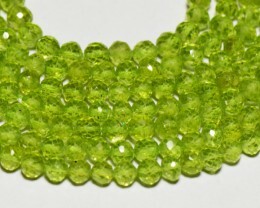 A gemstone of the Heart chakra. 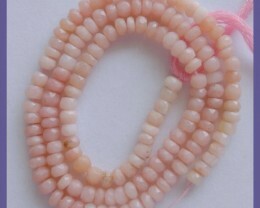 Pink Opal is used to help heal inner turmoil relating to problems in relationships. It is Calming. good for Relationship problems and Skin problems.